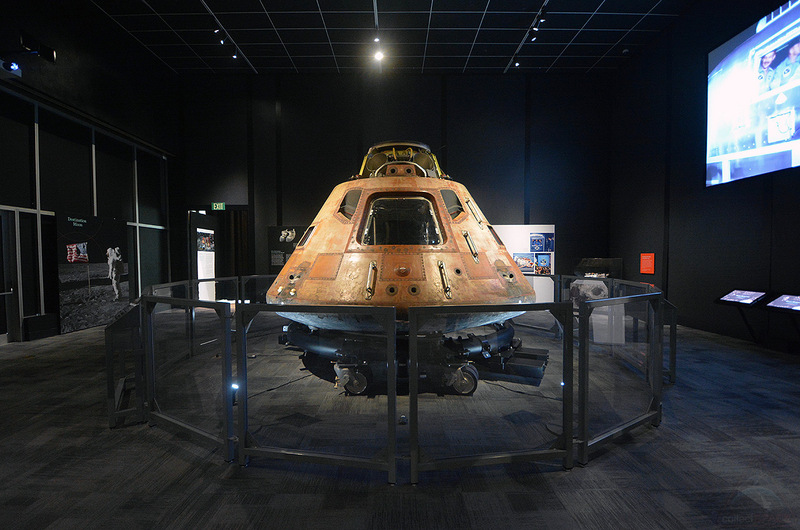 — Fifty years after splashing down in the Pacific Ocean, the spacecraft that carried the first astronauts to land on the moon has again returned to the United States' west coast. 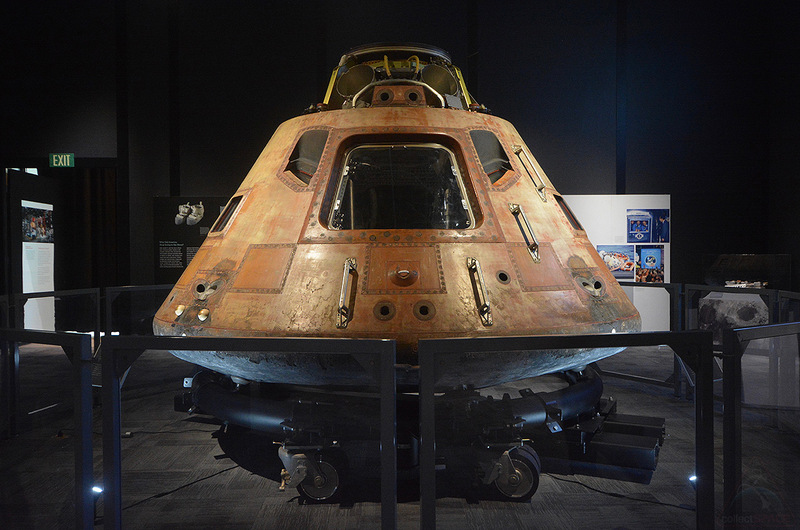 "Columbia," the Apollo 11 command module that flew Neil Armstrong, Buzz Aldrin and Michael Collins to and from the moon in July 1969, will spend the 50th anniversary of its mission at The Museum of Flight in Seattle. 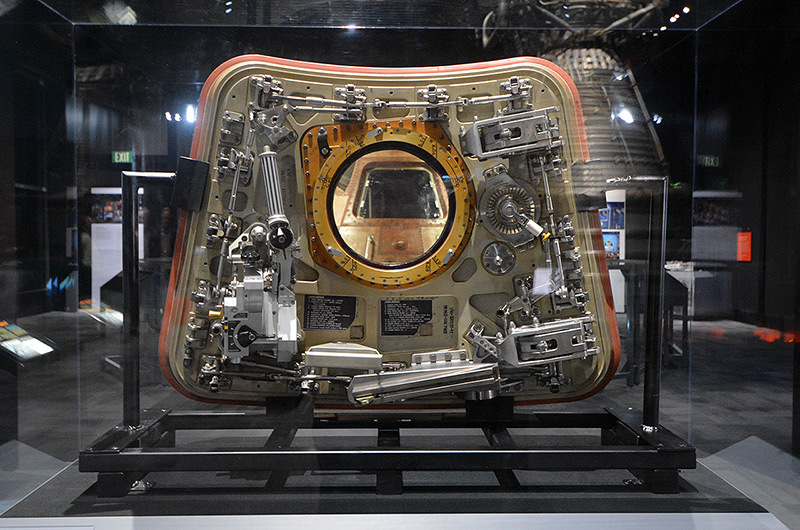 The capsule is the star of the Smithsonian Institution Traveling Exhibition Service's "Destination Moon: The Apollo 11 Mission," which opens Saturday (April 13) through Sept. 2 at the Washington state museum. 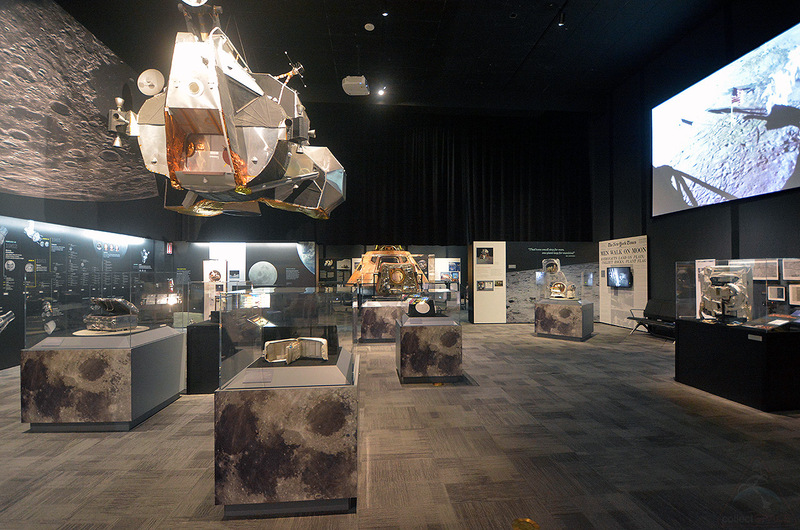 "It is truly an honor to have the Destination Moon exhibition here, the command module Columbia and the other artifacts from the moon landing, for the 50th anniversary of Apollo 11," said Geoff Nunn, adjunct curator for space history and exhibit developer at The Museum of Flight, during a press preview on Thursday. 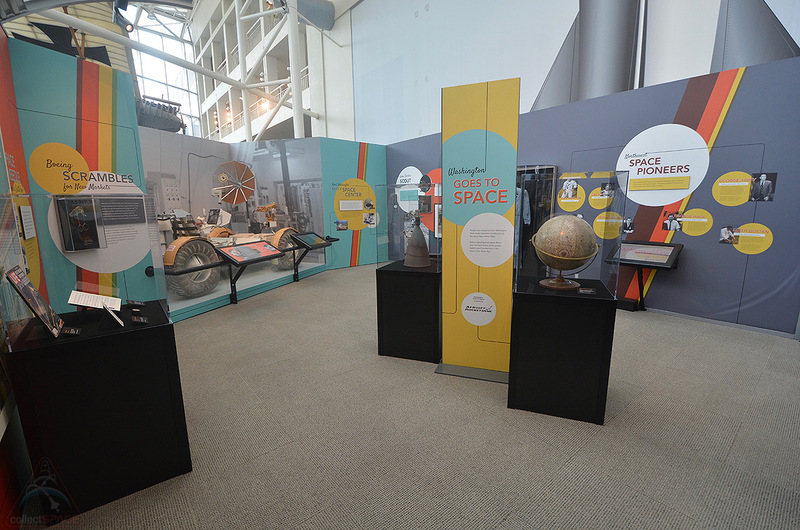 "Mounting an exhibition like Destination Moon for the 50th anniversary was truly a daunting undertaking." Previously on display in Houston, St. Louis and Pittsburgh, the Destination Moon exhibition was the Smithsonian's answer on how to keep Columbia on public view through the 50th anniversary of the Apollo 11 mission as its permanent home, the National Air and Space Museum in Washington, DC, undergoes an extensive, multi-year renovation. 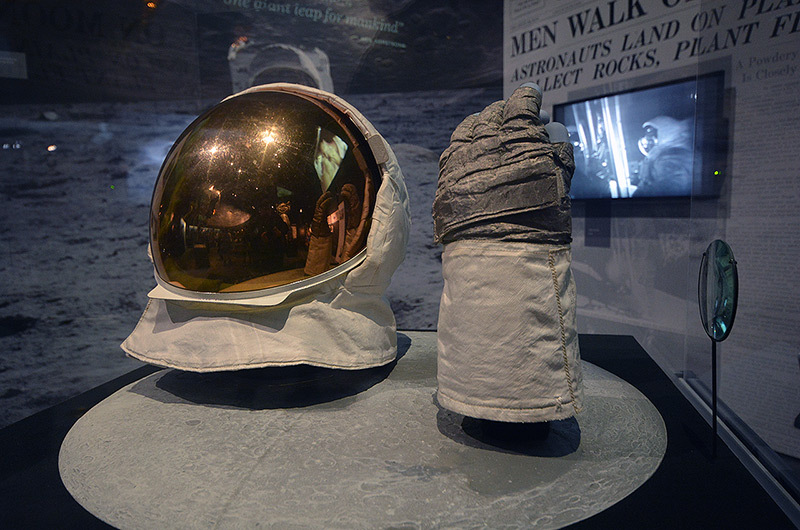 In addition to the command module, the exhibit features 20 artifacts from the first moon landing mission, including the gloves and helmet visor assembly that Aldrin wore on the lunar surface. "This is the not the first time Columbia has traveled the country. 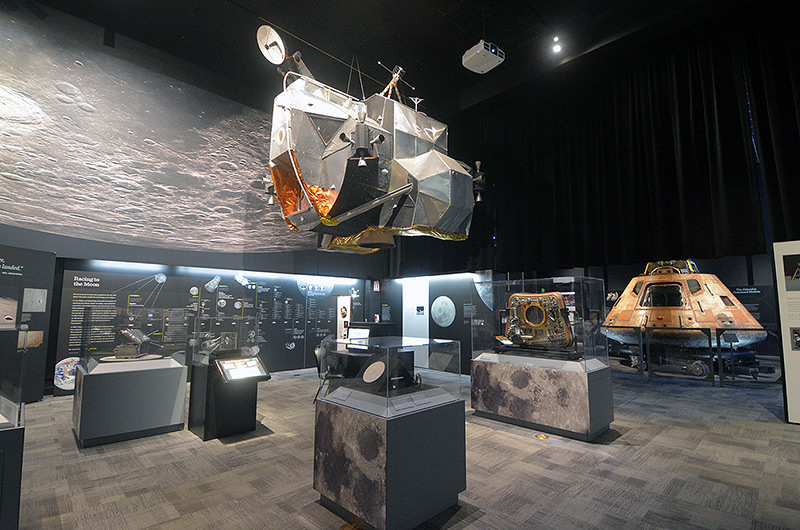 In 1970, NASA organized a tour that took Columbia to each of the 50 states," explained Michael Neufeld, senior curator for space history at the National Air and Space Museum. 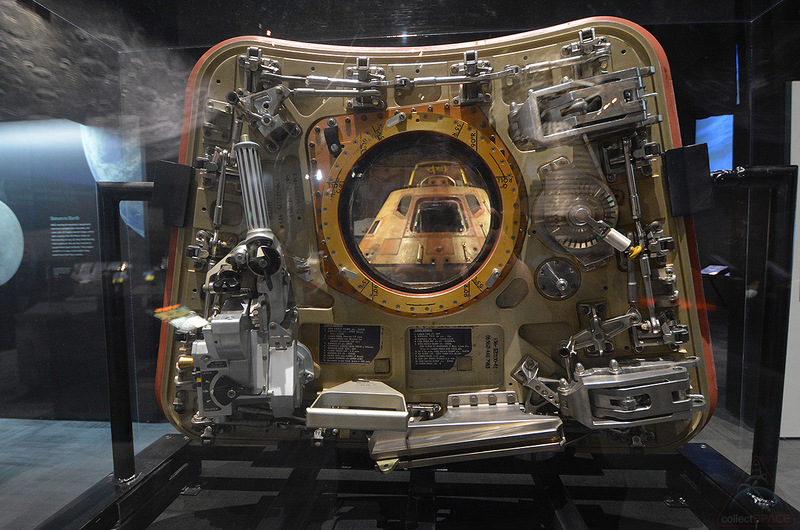 "Over the course of three rainy days, nearly 45,000 Washingtonians saw the command module when it was on view in Olympia in front of the State Capitol." 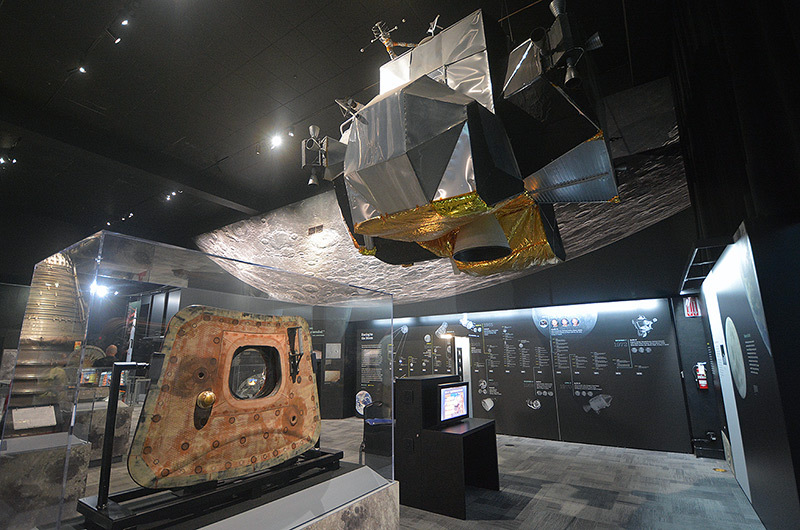 At The Museum of Flight, Columbia is displayed inside the previous location of the museum's "Apollo" exhibit, which debuted in 2017. 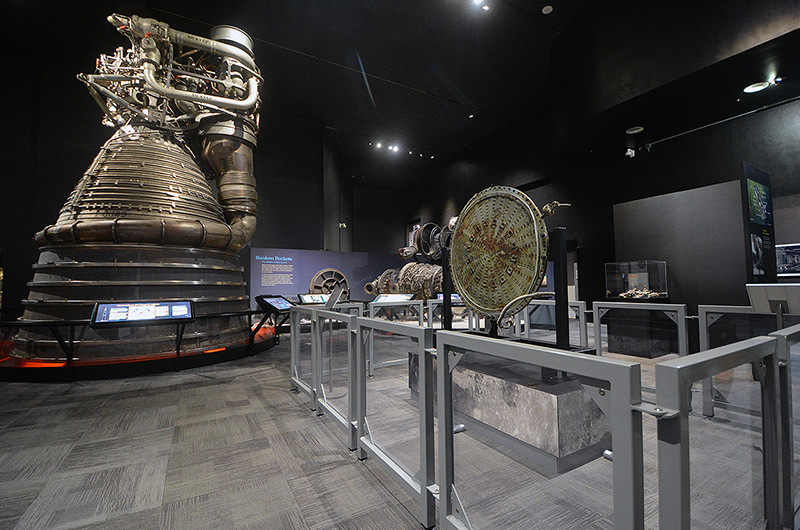 The museum removed some of the prior exhibit's artifacts out to make way for Destination Moon, including a test command module, but also augmented the Smithsonian's objects with pieces of its own collection. Visitors can still view an intact Saturn V F-1 rocket engine and the parts from flown engines that were recovered off the seafloor, as were previously part of the Apollo gallery, but can now also see an F-1 injector plate that helped launch the Apollo 11 mission as is part of the Destination Moon touring exhibition. "I like the idea you might inspire more kids today just the way the lunar missions in the late 60s and early 70s inspired me as a kid," said Amazon CEO Jeff Bezos, whose family foundation underwrote the F-1 engine recovery and helped sponsor bringing the Destination Moon exhibition to Seattle. "So if we can inspire just a few kids to go off and invent the future, it is well worth it." 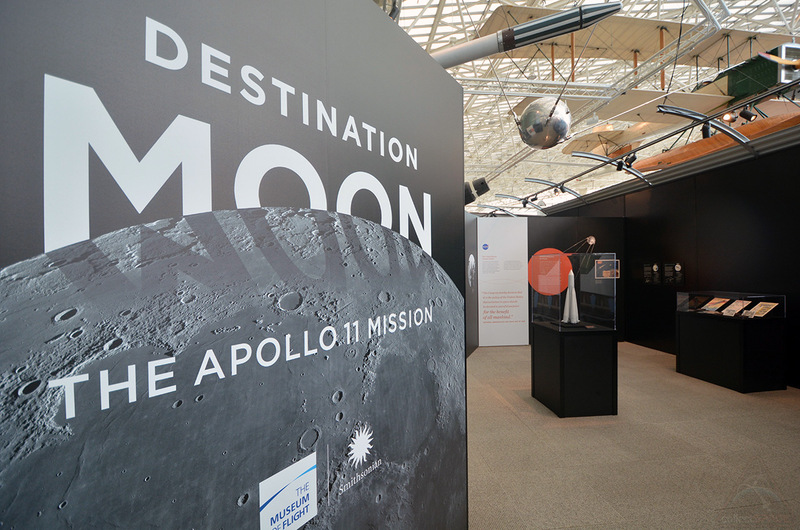 In addition to incorporating some of its own Apollo artifacts, The Museum of Flight has also used Destination Moon to highlight the Seattle region's role in making the lunar landing possible. 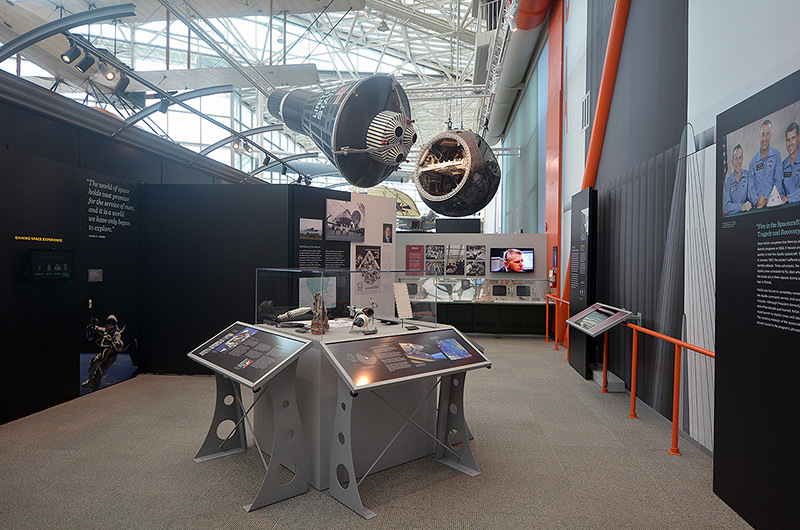 "Seattle is very well known as an airplane town, but we have been very involved in exploring beyond the atmosphere since the earliest days of the space program," said Nunn. 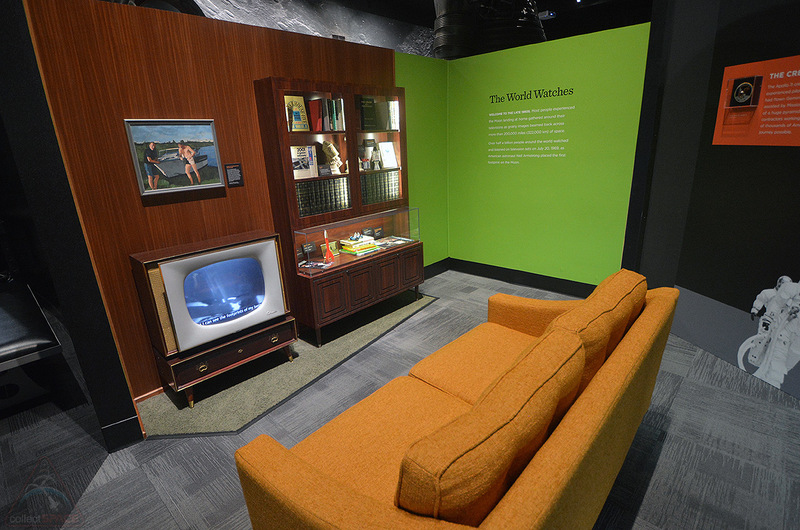 "As we approached this exhibit, we sought to capture the local story. Not just the global achievement, but all of the contributions that Washingtonians brought to the space race." 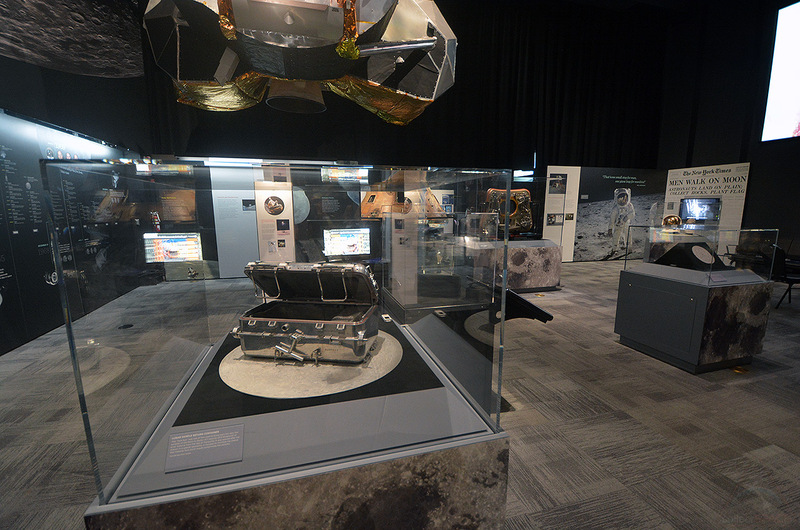 To that end, the expanded exhibition includes a model of the Apollo lunar rover as was developed by The Boeing Company in nearby Kent, examples of the thrusters designed and built by Redmond-based Aerojet Rocketdyne and memorabilia from the 1962 World's Fair, which included the debut of the now iconic Space Needle in Seattle. In conjunction with Destination Moon, dozens of Seattle businesses, restaurants, attractions and organizations are planning to offer space-themed products, special promotions and events celebrating the 50th anniversary of the moon landing under the banner of "Seattle's Summer of Space." The Museum of Flight has also re-themed its children's play area as "Tranquility Base," with kid-friendly mockups of the Apollo spacecraft and artwork featuring Snoopy, the Peanuts comic strip dog, as the first beagle on the moon. "All around the country right now, there are Apollo celebrations going on. It is going to be a big deal and you're going to feel the momentum build. 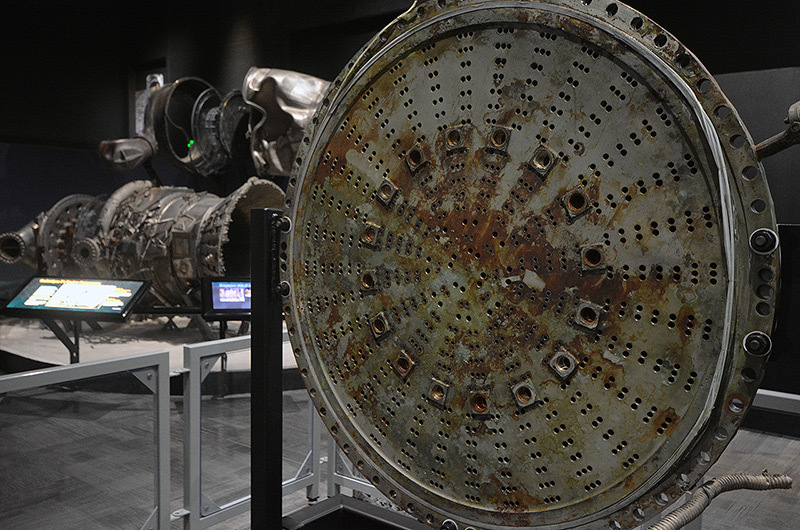 And at those openings, at those exhibitions and celebrations, there are going to be people like me, who can't start off their speech with 'I remember where I was on July 20, 1969,'" said Matt Hayes, president and CEO of The Museum of Flight, who was born in 1970. "So why is this relevant to me and the billions of people like me who didn't get to watch Apollo unfold on TV? That is one of the many questions we hope to explore with this exhibition; that there is a lot to be inspired about," said Hayes. "And I would argue even more relevance to the moon landings and that program now than there was 50 years ago."